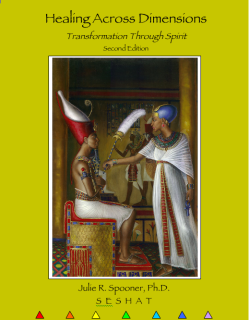 ORDER DR. SESHAT'S POWERFUL BOOKS! To order, please submit payment and complete form below. 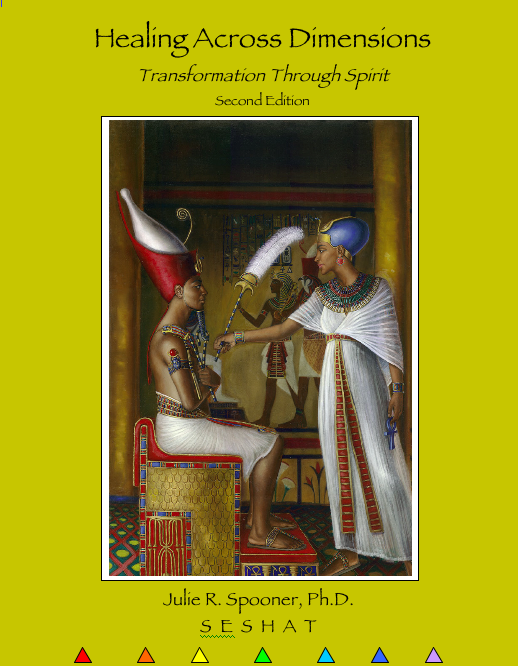 Healing Across Dimensions: The Diamond Path is the second of Dr. Seshat's book series. Over the years, hundreds have ventured to the Sakhu Healing Arts Center to take this journey of awakening, looking to the ancestors to remove obstacles and reveal their sacred missions. Healing Across Dimensions reveals over a dozen unique energy healing methods gifted by the ancestors through readings. It takes us on a journey into the future to explore technologies that remain hidden or non-existent in this present context, including encounters with extraterrestrials. Healing Across Dimensions also reveals the ways of the ancestors, and how those of African descent are deeply healed and given direction when we align with the teachers of our forebears, with rituals to enhance the divine feminine and masculine energies that yearn to be awakened within us. Dr. Seshat has been a healing force in the community for over two decades. As both a clinical psychologist and a priestess, Dr. Seshat reveals the path of the spiritual warrior with unflinching courage. Journey with her as she performs healings revealing the soul’s mission and removing obstacles that have endured across lifetimes. Witness as Tehuti, the Kemetic (ancient Egyptian) god of wisdom, presides over present-day healing rituals. Dr. Seshat, acts as a vessel for ancestors and ascended masters to transform lives. Watch as spirit reveals past lives from Kemet, to India, to Medieval Europe to remove obstacles and uncover sacred missions. the embodiment of wisdom itself? carrying out your sacred mission in vivid detail? that was performed with the aim of harming you? that continue to surround you and menace you? to reveal your best course of action? Healing Across Dimensions: Transformation Through Spirit reveals the reality of all this and more. Experience the detailed accounts of journeys of healing that take place in the spirit realms, traversing dimensions, traveling across time, both past and future. Encounter ancestors and beings from distant galaxies.